This clever little loop strap is designed to attach to the seat belt of your car. Safely secure your dog in the car with the EzyDog Seat Belt Loop Restraint. 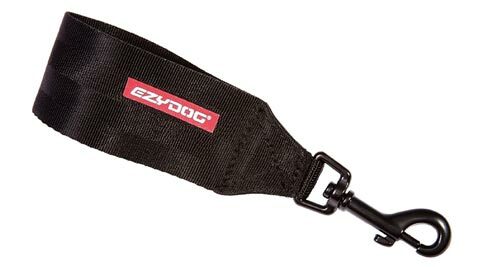 Compatible with any dog harness that has a back D-ring. Slips through the seatbelt of your car to secure your dog when travelling and keep them safe. The loop goes through your car seat belt and the heavy duty snap hook easily attaches to your dog's existing harness. 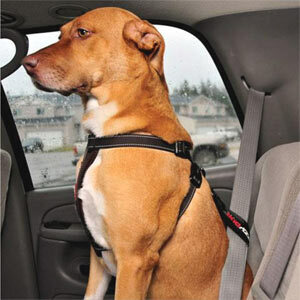 Keeps your dog safe in case of sudden braking and stops them roaming around in the car as you drive. 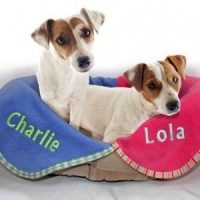 Your dog can comfortably sit or lay down. This design is especially useful if your car seat belt sockets are not a standard size for use with a Click-in Dog Seat Belt. 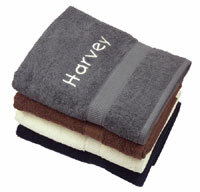 Made from seatbelt webbing for strength and durability. The driver isn't distracted, passengers are not interfered with and your dog is comfortable and safe. 1. Feed the seatbelt through the car restraint loop and click the seatbelt closed. 2. 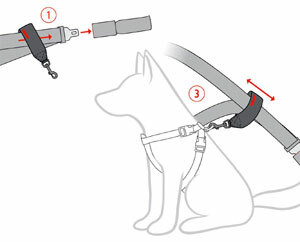 Attach the car restraint to your dog's harness. 3. Pull the car restraint along the seat belt according to the sitting height of your dog. 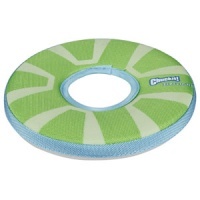 Please note - this product should be used with a dog harness, never attached to a dog's collar. CAUTION: In the event of a car accident this product may not prevent injury to the passenger or dog.